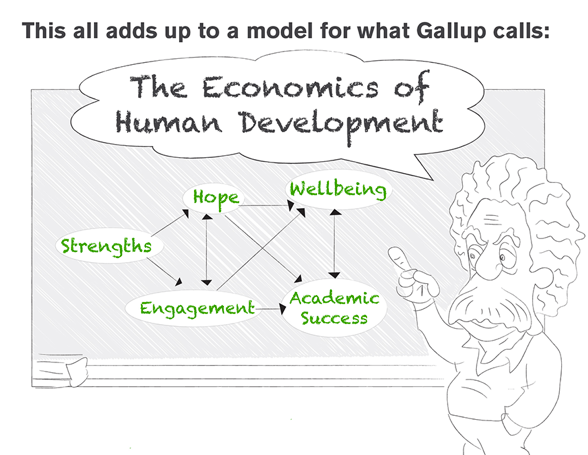 Today I viewed a slideshow created by Gallup entitled, The Economics of Human Development: The Path to Winning Again in Education. Here are some slides from this presentation. Effortful control. Students are constantly faced with tasks that are important for long-term goals but that in the short-term do not feel desirable or intrinsically motivating. Successful students marshal willpower and regulate their attention during such tasks and in the face of distractions. 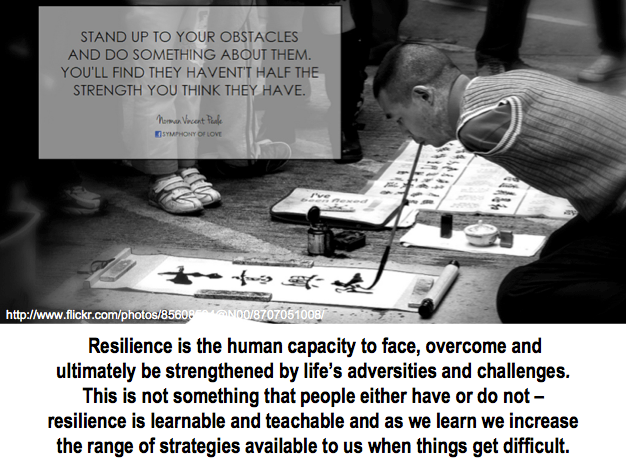 Resilience is directly related to grit. 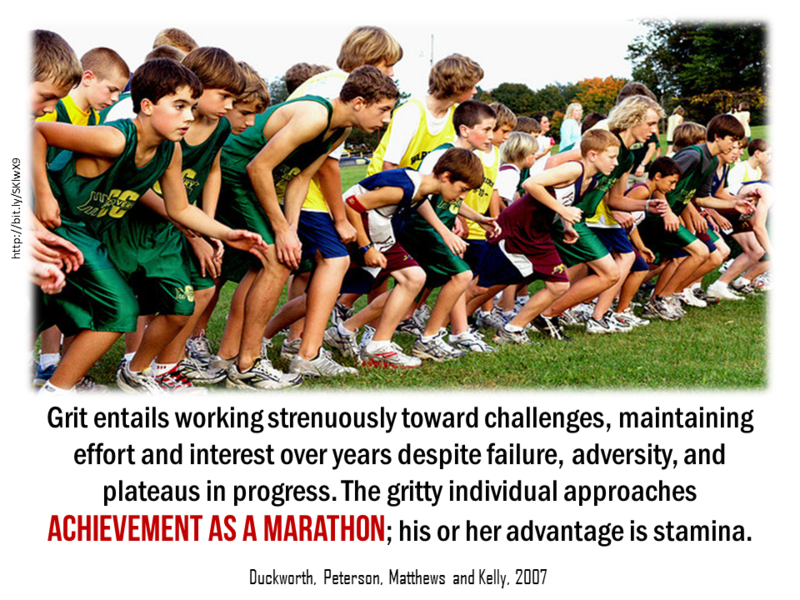 While grit is having the perseverance to continue on one’s journey, resilience is the ability is bounce back in the face of set-backs, obstacles, and failures. The impossible has been obtained in this globe mainly due to the objectives and experienced concepts and objectives of so-called mavericks. Having a desire, be it to fight social injustices or to journey through space, has allowed humans to create the globe a better place to live in and to discover the secret that is life and beyond. Motivating learners to have little or big objectives, picturing and success stories is a great addiction to teach (Helping Students Achieve Dreams Through the Vision Board). Globalization and technological advancements require that students learn to be more autonomous, flexible, and critical in their thinking. To reflect societal changes, educational reform has focused on the learning environment, developing more problem-based, collaborative, and student-centered classrooms to better represent the complex learning situations students may face in a real-life work environment. Part of this ongoing reform involves teaching students appropriate learning strategies and self-regulatory skills to help them adapt to these future situations and become life-long learners (Zimmerman & Schunk, 2003). For today’s educator, knowledge of self-regulation, its development, and strategies to optimize self-regulation in all learners is pivotal for student success. 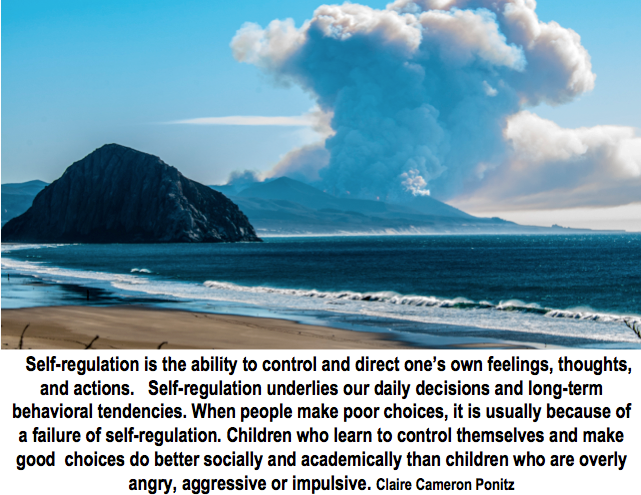 Self-regulation is a complex process involving numerous motivational, affective, cognitive, physiological and behavioral factors that individuals proactively direct and manage in order to attain self-set goals (Zeidner, Boekaerts, & Pintrich, 2000). It is a broad construct incorporating behaviors and strategies utilized by individuals across their lifespan to modulate or control their own emotional and behavioral responses. Students who self-regulate believe that they are responsible for their own learning and are more adept at dictating what, where, and how their learning occurs (Bandura, 2006). These students often persist longer through academic tasks and display higher levels of motivation and achievement (Schunk & Ertmer, 2000; Zimmerman & Schunk, 2001) (BC’s Self-Regulation Story: Engaging the First Wave Classrooms and Schools). 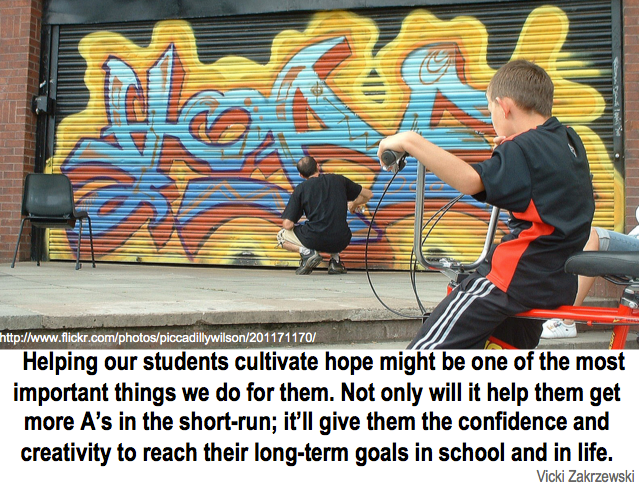 Self-Regulation: The Key to Successful Students? The general hope is that teaching empathy might lead to greater social harmony, altruistic action, social justice, and interpersonal and intercultural understanding. If we’re to reverse the increasing disregard for human suffering in this country and around the world, with the growing gap between rich and poor, empathy education — if it could be successful and massive — could make a major difference. The problem is never too much empathy. The problem is not enough. 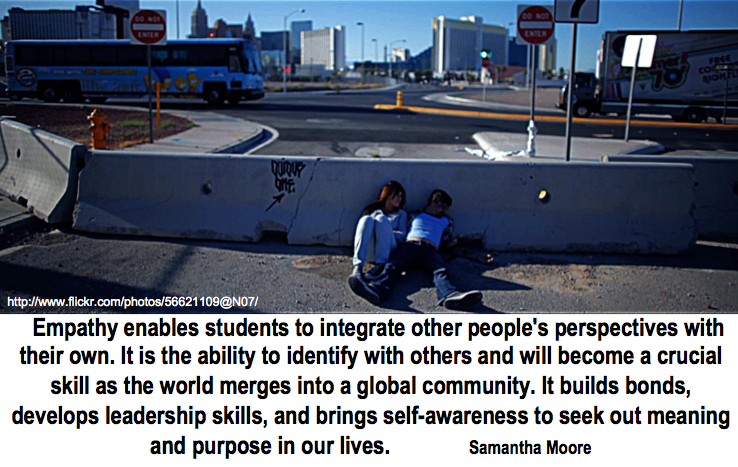 Empathy education needs to move beyond volunteerism and toward social transformation. One has to have the kind of empathy that really understands you don’t just give people handouts; what you do is transform the system so the people themselves can be transformed. While empathy is not itself sufficient, it is necessary for greater social justice to come about (Teaching Empathy to the ‘Me’ Generation). These are all important life skills – hope, resilience, grit, etc.The question is, how do we instill these core skills in the next generation when I see so many adults in our generation lacking them? For example, we talk about cyberbullying taking place among students, but I read a statistic today that said 1 in 3 teachers felt bullied at work. There is a huge shift that needs to take place in our society, and it’s time we all stop talking about it, and do it! Thanks for the great food for thought. Thanks, Laura – I’ve been thinking about this. I used to be a counselor educator. If I were to help educators, I would first have them do personal inventories of their own skills in each area and develop strategies for improving them. Doing one’s own personal inventory and journey increases awareness and then increases the ability to do this process with others. Thanks for your feedback and responses. Thanks, Jackie, for the shout out to hope, empathy, social justice, and global stewardship. The initial visual should be on the wall of every classroom across the globe – Grit, hope & optimism, Empathy, initiative and all the rest – you have captured the connected 21st century learner in one image and then followed on with breaking it down and pulling apart each section. Thank you for the share. Wow . . . and thank you for the great feedback! Great post – thank you. I moved into International Baccalaureate education with fervour when I learned that at the heart of the scheme was the Learner Profile http://www.ibo.org/programmes/profile/ – a set of attributes that defined not just academic competence but emotional and social responsibility. C21st skills growth and awareness expands beautifully on this vision of developing young people who really do interact with the world and each other intelligently, wisely and with responsible empathy. Success in education should not be defined by getting a great (insert subject) score, but by showing understanding of how knowledge and skills acquired in (insert every subject) can contribute towards a better world for everyone. Jackie-I have to say that I just love the way you think! You continually put all things education into perspective. I’m a teacher-librarian and our profession’s teaching for learning standards include not only the skills but also the dispositions (and responsibilities) needed for effective learners. I see these dispositions very much like the attributes you’ve highlighted, much like Habits of Mind addressed by other thinkers. And how do we foster these skills for our students: model, share and reflect. Put these terms, examples of efforts which exhibit these dispositions and the need for students to foster them out there! Talk with students and have then reflect on their learning not only the skills they learned, but also the dispositions they experienced. Thanks, Deb, for the feedback – it means a lot to me! I don’t know how to classify them – skills, attributes, dispositions 🙂 – but I know they are important. We need to stop focusing on education as a process from the ears up – too often only involving the ears and brain. I think many librarians both in school and in after school settings often understand this whole student education better than many classroom teachers. Thank you, Jackie. This is a post everyone should read. You are so helping to bring educational dialogue back to what really matters — leading/drawing out the strengths of students, building a community of learners through meaningful work. Build what works, instead of worrying about what’s wrong. You have gathered together a powerful set of resources that must form the basis of our educational system. Thanks again. Thank you so much, Sheri! I know you “get it” and that you are a critical consumer of content – that’s why your feedback means so much to me. This post is powerful and helpful. Our school is working on an inquiry around resilience and persistence, so your post and sharing of resources is very timely. What we are finding is that it is hard to quantify what this looks like in children in the midst of learning. So, our first steps are likely to be: what we are looking for? Thanks for the response, Kevin – how exciting that your school is focusing on these so called soft skills. 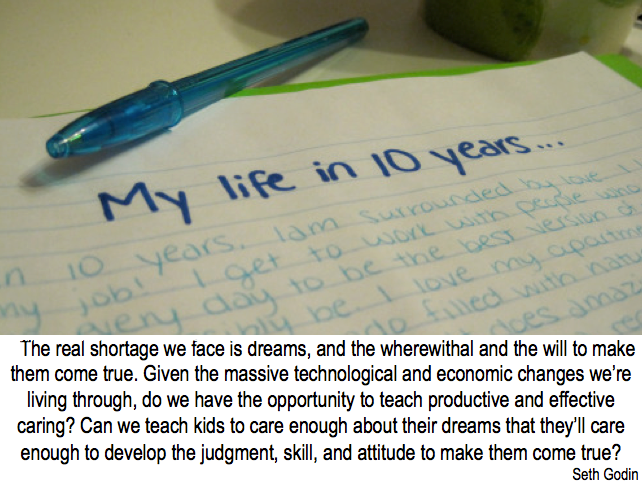 Is this post about “The Other 21st Century Skills” or “the skills important for a learner today”? From a more general perspective: The hands down most important characteristic (not necessarily skill) of a learner is joy at learning and activities that lead to learning. What a wonderful post, I really enjoyed reading it and will share it with my students too. I agree that, Grit, re-silence, hope & optimism, vision, self-regulation and empathy are important traits for growth and complete personality development. I would like to know the origin of the first illustration. There is a logo in the lower left corner, but it is too blurry to read and no citation is given. Thanks for asking – it is one I created. I am glad to have come across your blog. Amazing stuff! Myself and some colleagues are interested in using that graphic in our classroom. Is it available for download or purchase? I think it would be a powerful piece to blow up and hang in the classroom. Thanks, Ryan – the graphic is under creative commons – You can use it as long as you give me attribution. Enjoy! Thanks Jackie for this post. As a budding education advocate, I think the “real” tangible skills that easily translate from the classroom to the workplace are often overlooked when developing a curriculum to meet the needs of students. I really enjoyed your post, the infographic, and the descriptions you have for each skill you discussed. I gave you credit in my blog for your post. I look forward to reading more of your posts. Hi Jackie, do you know where the “Skills and Attributes of Today’s Learner” graphic is from? I see what looks like a logo or possible authorship statement in the bottom left hand corner, but it’s too tiny for me to make out. I note that many bloggers/writers state that it’s an Edudemic image (based on this post from Jeff Dunn, http://www.edudemic.com/the-12-must-have-skills-of-modern-learners/ but he refers to your post). Hi Constance – it is my image – he used my image in his post. Sure – go ahead and use and thanks for giving me credit. That is my creative commons attribution that I ask for. This blog is so well stated and right in line with supporting research. I would love to re-post this on my site if you are okay with that. Your graphic is brilliant too. The only thing I would add to your list is gratitude. New interventions with children are coming up in the literature with successful outcomes and promise for further research. Thanks, Dustine – appreciate your feedback! Sure – go ahead and re-blog, thanks for asking – enjoy! I learned these skills when I worked in a call center. The experience of working is VERY different from school. I had a hard time adjusting to the work ethics. But when I developed (some) strong work ethic I now know that I should value education all the more, especially the skills that we learn in school such as learning effective communication both written and oral and being disciplined with your schedule, and being flexible with working in groups. At work it is 1000x more rigorous and by-the-book-students may have to learn it the hard way, especially if you can’t stomach failure and trial-and-error. I would love to reprint the top graphic about the skills and attributes of today’s learners for a military child education magazine. Please email me to discuss at jessica.thibodeau@militarychild.org. Hi Jessica – All more work is creative commons – meaning you can use them as long as you give me attribution. All my work is creative commons – so as long as you give me credit, go for it! I am in the process of writing a book about the pedagogy of trust. I would love to make use of your figure (girl with the skills & attributes). I hereby ask you for the permission to use it in my book with the reference towards you and this webpage. Is that okay?